Let me tell you how bad my hearing is these days…not too long ago I parked my car in a busy parking lot and went to do some shopping in a pet store. Thirty minutes later I walked back to my car and found my keys still in the ignition with the engine running. I guess I’d been distracted before I got out of the car, but seriously, not even my hearing aids picked up the sound of my idly racing engine. Don’t even mention the stupidity of getting out of the car without my keys. I was so thankful that no one had stolen my car. And so very thankful for the grace of God. God is so intentional in the way He graces me. Let’s face it, I don’t hear and see like most people around me, but who’s going to know that if I don’t tell them? If I want to get the most out of life I’m learning I have to be intentional, too. That means I have to let God’s grace do the work it was intended to do in me. My limitations force me to face challenges, but it’s grace that frees me to accept them. I quit my job at the restaurant partly because the struggle was becoming too great to hear over all the activity and background noise, but God’s grace has no limits. I realize that even people with perfect hearing and perfect sight make the same mistakes I do, but sometimes it wears me out mentally and emotionally to be so intentional all the time. So aware. So cautious. So vulnerable. 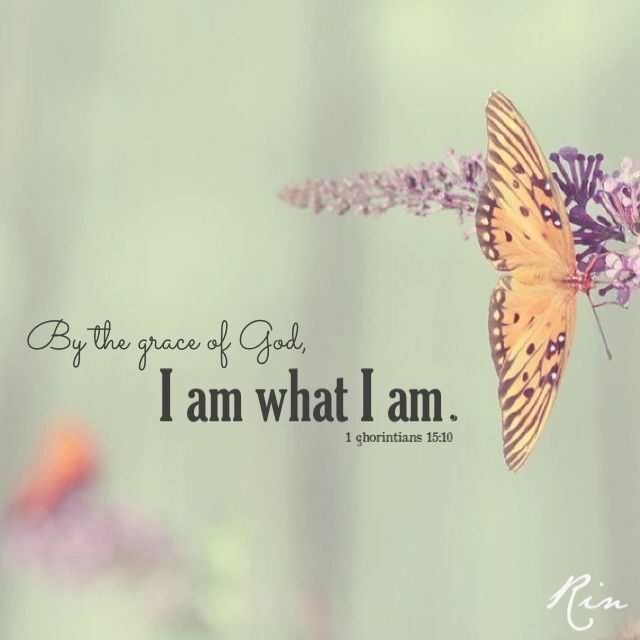 Part of my lot in life is making the changes necessary to compensate for my physical limitations, but God will never change the way He extends His grace. It never wears Him out. I can count on it. I can depend upon it. I can expect it. I may be facing new challenges these days, but so what?